Solopreneurs need all the help they can get. These three companies deliver small-businesses with the services they need to do their best. According to the most recent data available to the United States Small Business Administration, there are currently 29.6 million companies with under 500 employees operating across the nation. Some 48 percent of the country’s active workforce is employed by small businesses, but over 80 percent of these companies are solopreneurial efforts. These are companies that need as much help as they can get. Startups offering tech solutions that provide significant value to this sector are in a great position to succeed. Targeting these businesses provides a higher volume of potential customers in a growing market that has money to spend. A study released by the Federal Reserve of New York in April indicated that 60 percent of American small businesses are on pace to earn more this year than last, and approximately 40 percent are aiming to expand their teams. Smaller organizations are looking for more paid solutions -- they're willing to spend money on things to help them with their businesses, so they have more time to focus on the operational side of things. Traditionally, Israeli startups have gone after bigger whales, favoring enterprise tech customers. As recently as this past December, Business Insider’s list of the 21 “coolest” tech startups in Israel included 11 companies targeting the enterprise, eight selling products directly to consumers and just two that are relevant for small-business sales. Mind you, one of them, Wix, had gone public some three years prior, and the other, SalesPredict, had been acquired by eBay six months before the list was published. So there were zero buzz-worthy startups targeting small businesses -- at least according to the mainstream, global media at the end of 2016. This year is another story altogether. Hot user-generated content tools like Showbox and Mapme, for example, are empowering indie brands and ecommerce companies by making it easier for them to engage meaningfully with their customers. There are others as well, some of which I was able to visit on my recent REALITY Tech experience earlier this summer. Let’s take a look at three leading Israeli upstarts making solid inroads with U.S.-based small businesses. Promo by Slidely is a platform that allows small businesses to create marketing videos without the need for an extensive budget, time, know-how or equipment. 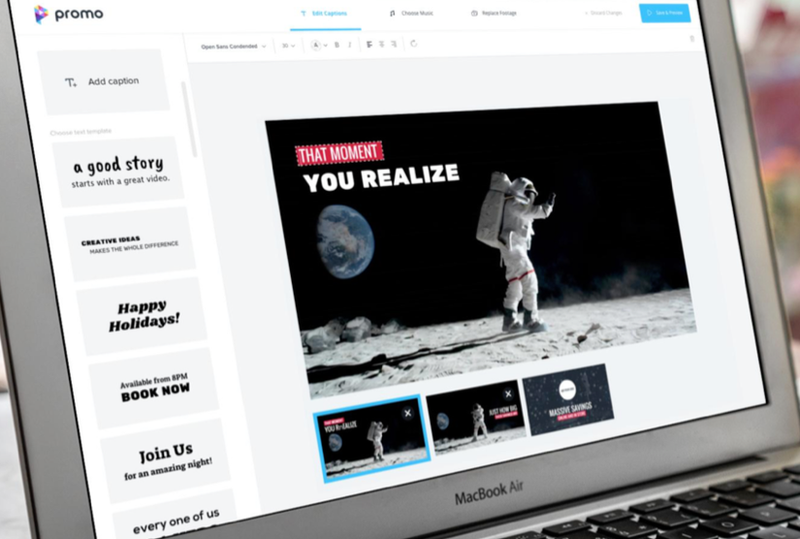 It provides access to a large library of video clips, licensed music, and a text editor so brands can create their own marketing videos in a snap. Video content is a must online nowadays, and the fact is, many small businesses across the globe simply lack the time, expertise and money to invest in their own video creation at any scale. This platform provides a way for small companies to capitalize on the video marketing trend and its benefits without having to agonize over the details of creating their own promotional videos completely from scratch. Rolled out last summer, Promo is just one of the products Slidely has to offer. They also provide the ability to create collages and shows featuring both video and image content from social media accounts. Slidely has penetrated the U.S. market by partnering with Getty to provide video footage for use in Promo’s project libraries. Paying users have created some 250,000 video projects in the past year. Today the company, headed by CEO Tom More, is looking to double down on Promo’s success, reinvesting in feature development, diversifying supported video formats and partnering with more marketing platforms that have global reach. email signatures with dynamic links and standardized branding. personal web pages to help promote and capture leads for your business. submission of listings to key web directories to help local businesses get more leads. business cards to help promote your business. branded promotional items for merchandise sales and giveaways. web traffic and email analytics and insights. Small-business owners can choose to use one or any combination of these products. Using WiseBrand’s products, businesses have more or less everything they need to connect with customers. They can do so with limited resources, making their business look as professional as any Fortune 500 company. Over one billion emails have been sent with WiseStamp signatures in them and some 700 million users have gotten onboard since the company was founded by CEO Orly Izhaki nine years ago. According to Crunchbase, this growth has been funded by just one seed round. Darlings of the global tech blog echo chamber for the past half-decade, Fiverr is a marketplace where you can find every service from graphic design to content creation and SEO tasks for as little as $5. Small businesses often struggle to get everything done, and even if you're working with a Jack or Jill of all trades, some stuff just is better outsourced to experts -- or at least cheap, hungry talent. For solopreneurs and small-business owners short on time or expertise, who have only a limited budget, Fiverr provides access to a global network of freelancers who can get a job done. Fiverr penetrated the U.S. market by allowing freelancers from around the world to sign up to offer their services. Because many of the services offered allow for customizations priced higher than $5, skilled freelancers can earn a decent income, while buyers can source the tasks and marketing assets they need without breaking the bank. It also helps ambitious freelancers maintain a steady flow of gigs, which relieves a big pain point for them. Many have questioned the quality -- and even the legality -- of the work delivered via Fiverr gigs over the years. 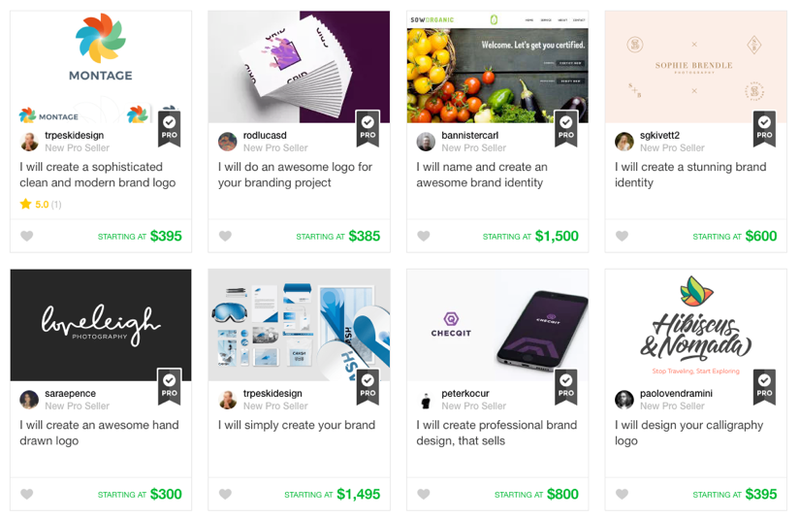 But the addition of the recently announced Fiverr Pro service, which allows vetted service providers to display verification badges on their profiles, should help the company in its battles against naysayers. The global B2C sector might have the most market potential for startups, thanks to the sheer volume of consumers, and the enterprise sector is where all it takes is one big contract to unlock success. But today, more rising Israeli startups are winning by realizing that when it comes to American customers, B2B represents a major opportunity. By penetrating the U.S. small-business market, they've found significant growth -- and are helping others to do the same.